South Korean tech giant Samsung today said it would be hiring 1000 engineers from top institutes for its three research and development (R&D) facilities in India. It would be hiring the talent from IITs, NITs, Delhi College of Engineering, BITS Pilani, Manipal Institute of Technology and IIITs among others. New Delhi: South Korean tech giant Samsung today said it would be hiring 1000 engineers from top institutes for its three research and development (R&D) facilities in India. It would be hiring the talent from IITs, NITs, Delhi College of Engineering, BITS Pilani, Manipal Institute of Technology and IIITs among others. "Samsung is extremely bullish on R&D in India. We have been here for over 22 years. 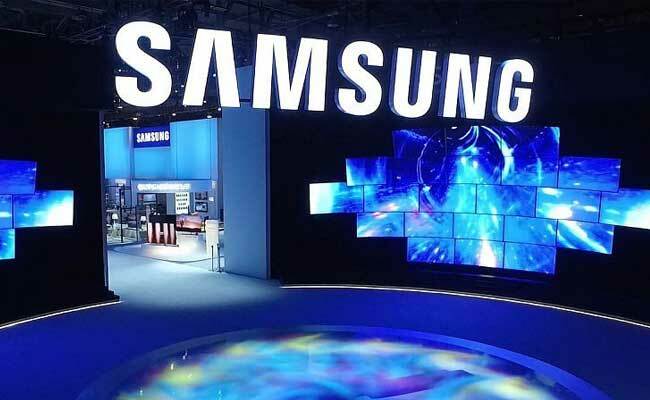 The three R&D centres in India work on several cutting edge technologies," Samsung global senior vice-president and MD Samsung R&D Institute India Bengaluru Dipesh Shah said. "We will be hiring around 1,000 engineers from top engineering colleges this year across the three R&D centres in India, of which over 300 will be from IITs. A majority of them will hired for domains such as artificial intelligence, machine learning, signal processing, computer vision, mobile security and biometrics among others. There is a large need for talent," he added. Majority of the talent is being hired for new age domains such as artificial intelligence, Internet of Things (IoT), machine learning, biometrics, natural language processing, augmented reality and networks including 5G, it said in a statement. Apart from the traditional domain of computer science, students would be picked from streams such as electrical engineering, mathematics and computing, applied mechanics, and statistics, among others. Last year Samsung hired 800 engineers for its R&D facilities, out of which 300 were from IITs and this year too it would be hiring a similar number from IITs. Samsung has a total of 32 R&D centres across the world and three in India at Bengaluru, Noida and Delhi. The Indian R&D centres contribute to global products as well as develop India specific innovations for the local market here.